Rainbow Dust Colours food paints are offered in 20 different opaque colors, 22 metallic colors, and 36 click-twist brush-pens. There are a variety of ways to use this food paint. Sponge it evenly onto a whole cake for an attractive textured finish, use a paintbrush to apply it to royal icing, airbrush it onto chocolate, or use Rainbow Dust Colours brush-pen applicators to brush it onto edible decorations. You can even brush over frosting using a stencil to create intricate designs with ease! For more creative dessert ideas, visit www.rainbowdust.co.uk. Available in a variety of opaque and metallic colors in addition to 36 brush-pen applicators, Rainbow Dust Colours food paints take pastry decoration to a whole new level. Check out the video for a colorful demonstration! 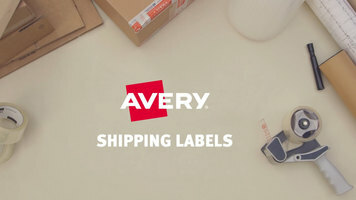 Watch this video to learn all about the features and benefits of Avery shipping labels. With permanent adhesive and Trueblock technology, these labels are perfect for a variety of different applications. 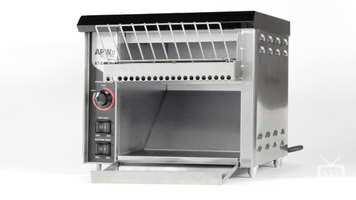 Learn how to use, control, and clean the APW Wyott AT-Express conveyor toaster! Learn the proper way to tie a roast with butcher twine to not only help your roast hold its shape, but to ensure even cooking throughout. The great thing about using butcher twine is that it won't burn in the oven or ruin the taste of your meat!